This one is for the true Strike Force Junkie! Seriously. 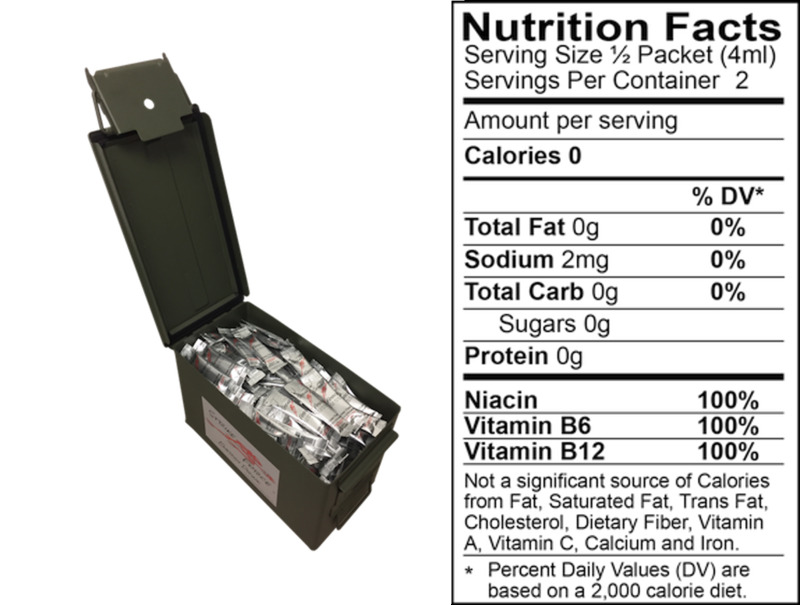 If you don't know what you're doing, just pass on this and head over to our 10 Count Box. Okay, the rest of you still with me? Good! 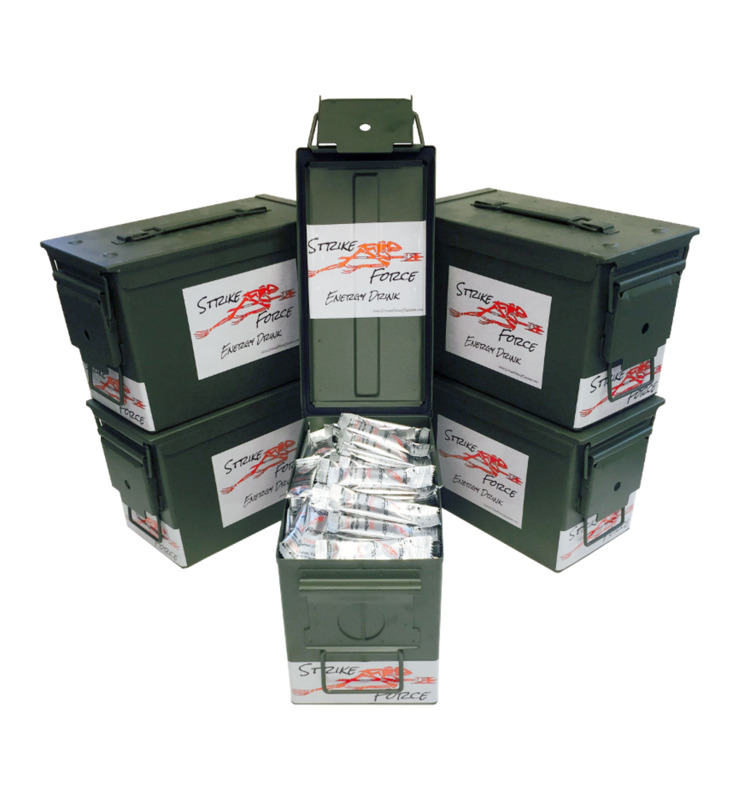 Right now, you can get 300 sticks of Strike Force in our own ammo can. This is the real deal with ruggedized walls, lid and handles, positive locking latch, and rubber gasket seal. This is the perfect addition to your bar, shop, or man cave. Are you hosting football night, poker night, or ladies bridge club? There is no better way to keep your guests charged up in style... and to show off your style. You don't need to buy 600 cans of some other energy drink. Heck, you can't even CARRY 600 cans!! So save your wallet and your back. We'll quickly deliver right to your door. Since Strike Force is so awesome, you may be wondering if it is all too good to be true. What could be in it besides Dragon Tears and Unicorn Farts? Well, that's a perfectly good question. And I'll tell you. I'll tell you everything!